The goal of maths teaching at Freemantle Academy is for all children to be confident, fluent mathematicians who are able to tackle increasingly complex problems in topics that will be relevant for life, including calculation, percentages, algebra and measurement. It is the perception of many children and adults, however, that maths is something that some people can do and some people can't. We reject this, but there are many obstacles that children must overcome on the path to being fluent mathematicians two of which are confidence and times table recall. The Times Table Rock Stars (TTRS) programme tackles both of these problems. TTRS is an engaging, fun and simple programme that allows children to practise and become fluent in their times table recall. In school, the children complete 3-minute paper tests 3 times a week where they answer 50 questions as quickly as possible, recording their times and scores after each session. 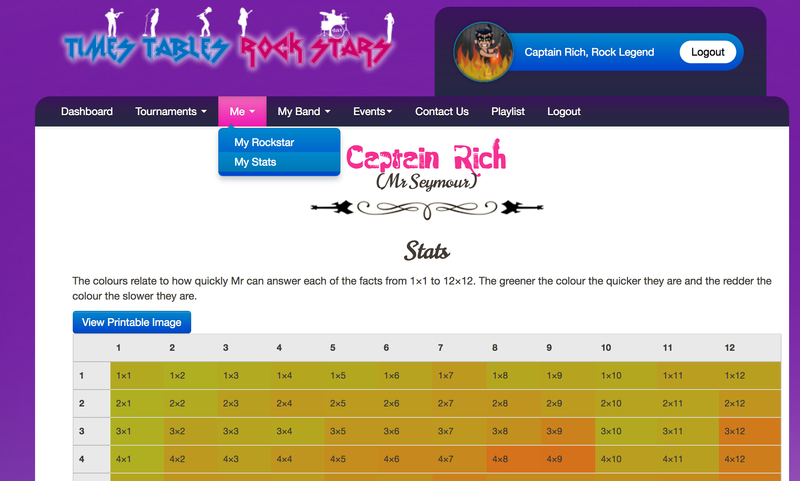 However, regular practise at home is the most beneficial way of improving times table recall and all children from Year 4-6 have access to the online version of Times Tables Rock Stars. Online, children compete either against themselves, their class or anonymously against other children across the world in 1 minute rounds where they answer as many times table questions from 1x1 to 12x12 as they can. As they play, they're awarded coins which they can spend on buying clothes, instruments and accessories for their avatars. Year on year we have seen children with low confidence in maths improve their times table recall using the Times Tables Rock Stars programme and as a result transform into confident, more capable mathematicians. Needless to say, children with strong times table recall perform better in their End of Key Stage 2 SATs maths exams as they are more confident, more fluent mathematicians who are able to calculate quickly without needing to pause to recite their times tables. Your child has a log in and password that allows them to access TTRS from most internet devices including mobile phone, tablet, laptop and desktop computer. From here, they can play in 4 different arenas. Garage - here, children play alone, trying to beat their own scores. Studio - children play alone in the studio and this is where they complete their weekly homework. In the studio, your child's time is recorded for their teacher to see. If your child's average time is under 1 second, they will receive an award in Celebration Assembly. Festival - all children throughout the world who have access to Times Tables Rock Stars can play in the festival. Your child is completely anonymous at all times on TTRS. Arena - There are two arenas, one for the year your child is in (so for a child in Year 4, there will be a Year 4 arena) and one for their rock band (their class). The children can compete with any children in their year or band who are online in the arena at the same time. You can check your child's progress by navigating to the 'Me' button at the top of the page and then clicking on 'My Stats'. By the start of Year 6, the aim is for most children to be able to recall any times table fact in less than 3 seconds. This is achieved through regular practise in school and at home. Children in Years 4-6 are set weekly TTRS homework where they complete 20 rounds. This is the minimum expectation and we recommend children play, where possible, daily for 10 minutes to ensure they are fluent in their tables. 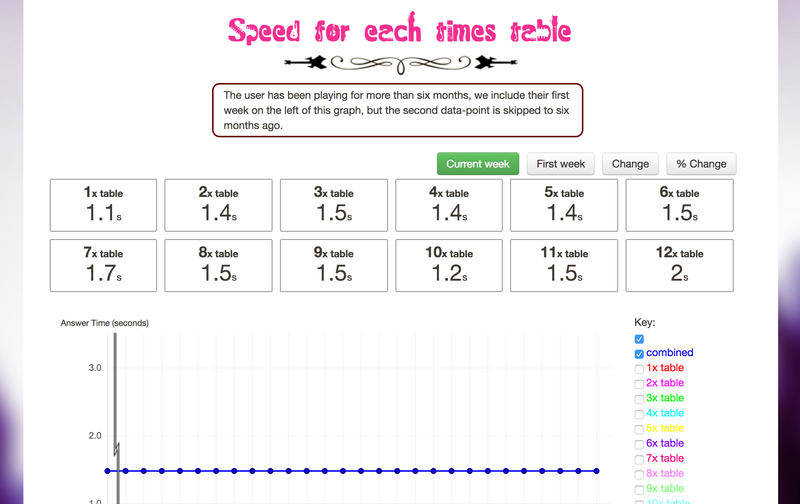 You can view how fast your child is at each of their times tables and support their learning on the 'My Stats' page. Here you can also see how your child has improved over time. If your child does not have access to an internet enabled device at home, we run a Times Tables Rock Stars club during several lunchtimes during the week that they can attend. All children are expected to complete the minimum of 20 rounds per week; failing to do so will mean they fall behind their peers and so any child who does not complete 20 rounds will complete this homework during a lunchtime.